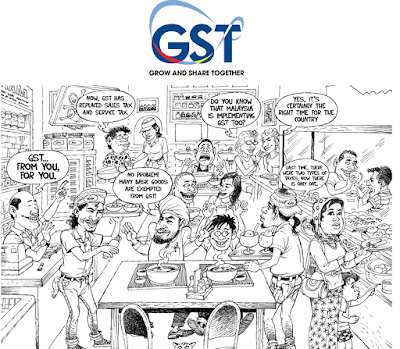 Puchong, April 1: Two years ago today, Malaysia joined more than 160 countries with GST. 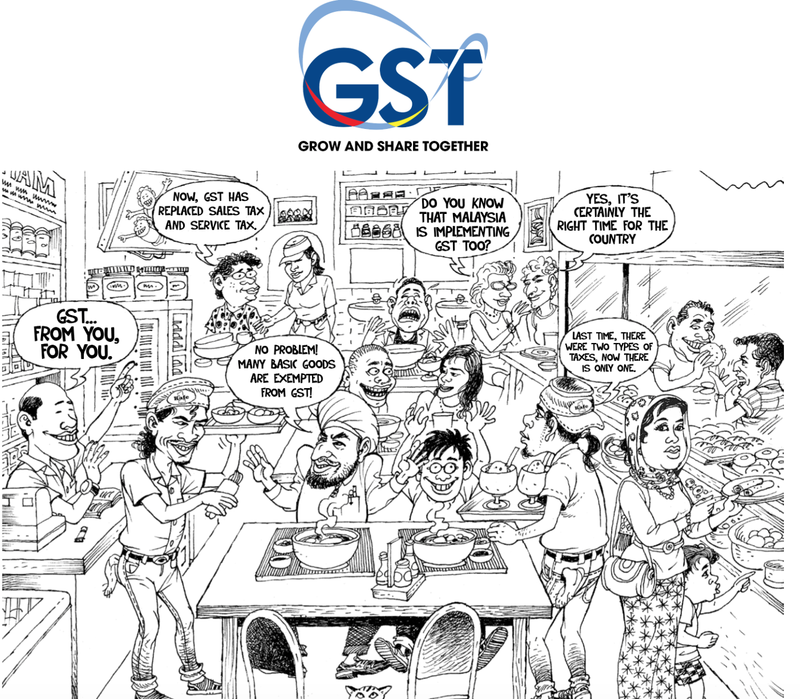 The move was greeted by so much whining, griping and bitching by some quarters that I suggested that they seriously consider migrating to any of the 40 countries that were still GST-free [40 countries you can migrate to if you wish to avoid Malaysia's new tax - 1 April 2015]. As far as I know, nobody has done so. In the meantime, the Government has collected some RM40 billion of GST during the first year alone, which is partly why our economic is doing relatively well, and also why the noise level against the GST has gone down a lot. The rate has remained 6%, one of the lowest in the world (go here for worldwide GST rates: only a handful of countries have lower GST than Malaysia's while most European countries have a GST of over 20%). The number of countries without GST is also shrinking very quickly, with Saudi Arabia and India set to join us. In conclusion, expect GST to be largely missing from the Opposition's manifesto for the coming General Election. Ni betui betui mentekaghah dedak punya Datok. Sirul has long not been on Mahathir's crying calls.He had to stop on BR1M cause opposition do not agree with him. It only left him with 1MDB. So far Singapore case is only infringement of banking rules issue. Do or pay the penalties and good bye. Many countries claim to be investigating but came to meet Aryl at 1MDB. US court now willing to hear Jho Loh's family application. Soon 1MDB will be a lost cost. Slowly and quietly Najib solving one problem after another. Bringing major investments after another. Economy and employment will recover eventually. Mahathir and his worshippers will be left with nothing but fake news and false facts to scream and bark on. The likes of outsyed, kadir, zam, firdaus, KCD, Perkasa, ... reduced to stray dogs. Mahathir sobbing over his losy IPPs, crooked bridge and dead cronies. Lets built a crooked bridge but as monument in kubang pasu to remember the most crooked Msian that ever live and rose to be longest PM. How to migrated. Even those pensioners now have to pay a 6% tax. Never be poor. Itulah nasib. I wish I can migrate but I have no money..The reasons, najib and gst. Dalam diam pada PRU akan datang pengundi yg celik akal tidak akan mengundi BN lagi. Ramai generasi muda dalam diam dan tidak kuasa utk bercakap lagi mengenai GST berhijrah ke Australia, Korea Selatan, negara Eropah serta Amerika Syarikat utk mencari pekerjaan mengunakan social visit visa walaupun berisiko sebab kekurangan peluang pekerjaan di negara sendiri dan jika ada sekali pun GST menyebabkan kos sara hidup meningkat dan mereka tidak dapat menyimpan utk membeli harta. 1. there were no Billions of 1MDB-Jho Low's debts, some not accounted for. 2. Najib was not a spendthrift and had spend Rakyat's money prudently. e.g... spend RM7.2 Billions in his first 5 years as PM, on consultant & advisers. Only when the country is short of money that he decided to consult Universities' Professors for advise. 3. Najib abides KPDNKK's Jihad to eradicate the role of middlemen... such as Razak Baginda, Deepak Carpet & Jho Low... in government's dealings. bodoh quietly enough la, ni go tell the whole world pulak!!! bukan main bodoh lagi kau ni rocky! so, rocky, you can claim it is a joke intended to fool all or some of your readers. Agreed, but the fact that you can think such ridiculously stupid ideas/thoughts and want to tell the whole world but yet try to protect yourself and hide your moronic brain behind a date.